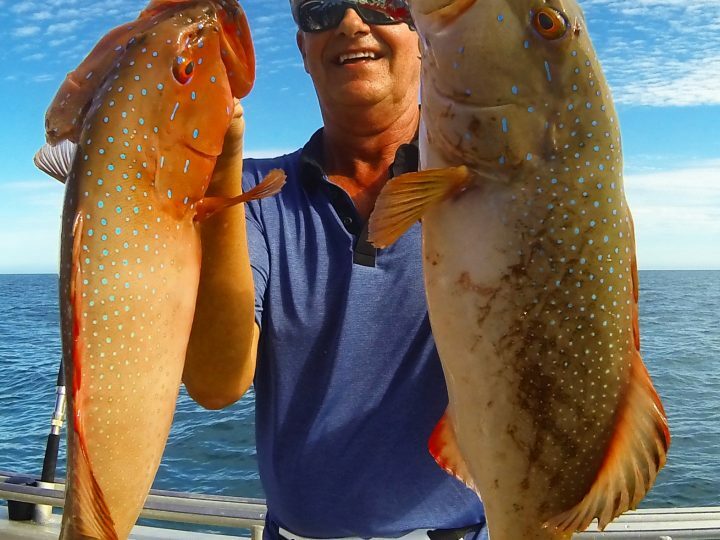 It won’t be long now and we will be back into our Broome Fishing Charters and Snubfin Dolphin Cruises!! I can’t believe it’s March already! Everyone is settling back into their routines and planning their next holidays. 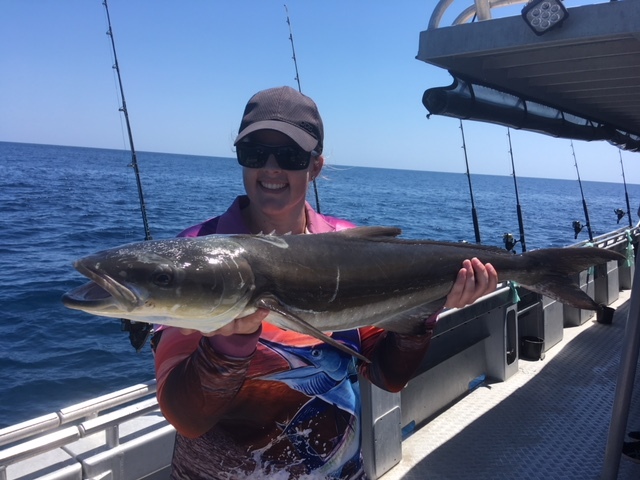 We are getting loads of enquiries and bookings for Broome reef Fishing and our Snubfin Dolphin cruise now, which shows there are lots of you planning a Broome holiday over the dry season. Some of you may already be aware but our flagship vessel, Contessa C is in Perth having a refit before the season starts. No major works this year, just spending some time keeping her looking and running well. The past few years we have found it much easier to take the boat from Broome to Perth for refit and maintenance. The facilities in Broome for removing large boats from the water are almost unusable. Although the costs are high to take the boat to Perth, it is a great piece of mind knowing the boat is safe in a southern marina…. away from cyclone danger. Broome usually dodges the worst of the weather but this year in particular, there has been cyclone after cyclone and at least a couple of boats on moorings have come to grief with the bad weather. 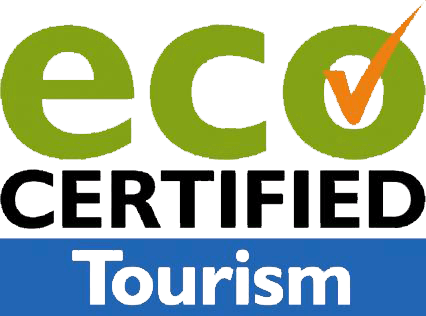 A marina in Broome would certainly make things safer and generate money for the town not to mention making passenger loading for fishing charters and dolphin cruises easier. 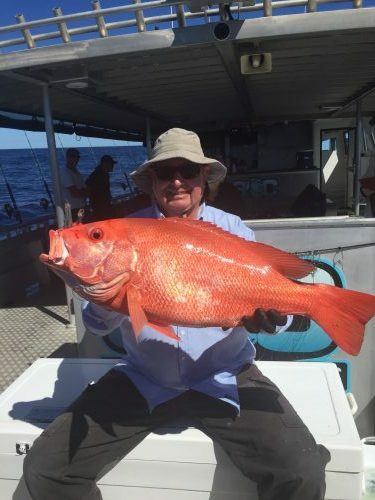 This time of year, I always look forward to the upcoming Fishing Charter season in Broome. I start to think about what the year will bring, what the fishing will be like, how the dolphins and whales will react in our presence and how many passengers we will get to show around our Broome backyard……. We can only hope our Snubfin Dolphin population hasn’t been affected by the recent sewerage spill into Roebuck Bay. I am sure the relevant authorities will be keeping a close eye on the newly established marine park and while the beaches and bay are now open to swimming, only time will tell if there is any underlying damage. I guess we are lucky…. or unlucky that our massive tides do a great job of sweeping things like this under the carpet, or ocean, so to speak. I think we can look forward to some great fishing this year. The big wet season usually kick starts the fishing, providing nutrients to sustain big numbers of baitfish. What happens when you have an oversupply of baitfish?? The big fish come from everywhere for the feast! Hopefully the sharks have dispersed a bit and we can get to land a few good fish. 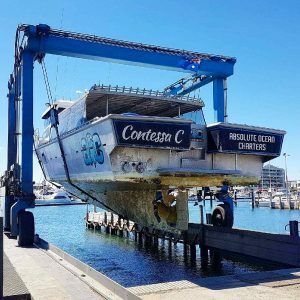 In the next week or two, Contessa C will be all tidied up, ready to take a new batch of keen adventurers on an exciting Broome Fishing Charter! 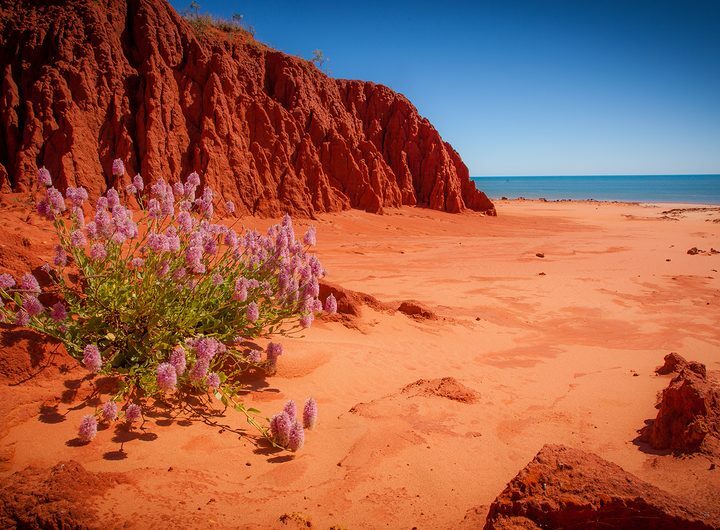 We will spend a week or so travelling from Perth to Broome. Keep an eye on our social media, we will put up some photos of the trip and keep you all updated on the progress. One thing is for sure we will be busy little bees getting all the work done and getting up there before the first charter towards the end of March. Which Charter are you interested in? Which date would you like to book? The 2018 Broome Fishing Charter Season has begun! 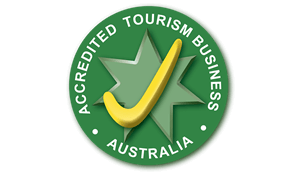 Absolute Ocean Charters has received a fantastic 4.9/5 star rating from 14 Clients on Google. A huge thank you to our wonderful clients! ©2019 Absolute Ocean Charters · Built with ❤ by Dilate.